cross country race to library lectures and West Springfield Clean-Up Day. We also lead private group activities on request such as for schools and civic groups in Bear Hole and Mittineague Park. The Committee aims to engage and educate the public with the outdoors so what exists today, will be honored for generations to come. Between February 2010 and January 19, 2019; committee events have drawn at least 1,890 participants! Earth Day Fair - April 27th, 11am-1pm. Small group of exhibitors that include (will be updated if necessary): DPW Water Division, West Spfld Health Dept with info on the new property upkeep ordinance, Tim O'Grady the town's waste management coordinator, Eversource, Suez wastewater treatment (water environmental services). Morgan Rd pavilion (429 Morgan Road). Earth Day proclamation ceremony 12:30pm. Heart Springs - April 27th town hall parking lot, 26 Central Street next to police dept garage. 11am-1pm. Clothing, bedding / blankets, shoes and small household item donations such as kitchenware, sporting goods, books (no textbooks, library books, encyclopedias), NO ELECTRONICS or APPLIANCES. NO PILLOW CASES. 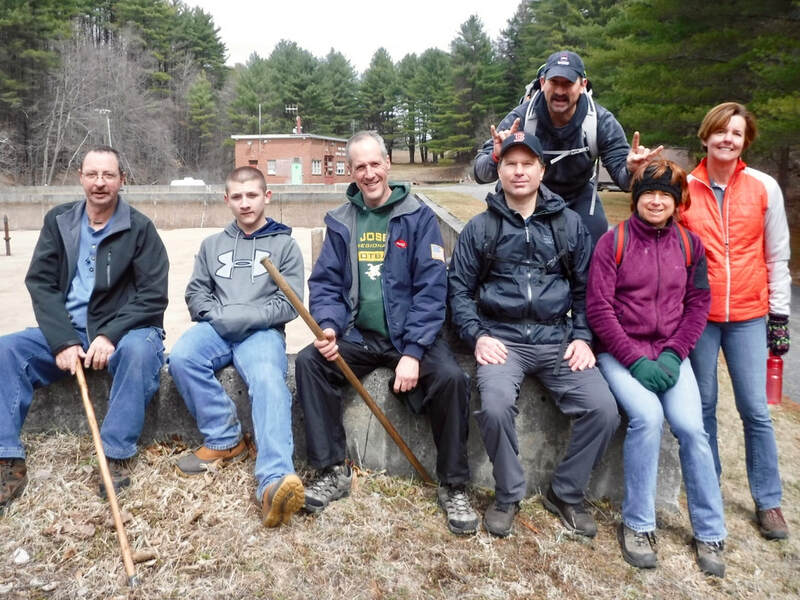 Please note that as an effort to keep hiking groups a reasonable size and/or due to last minute coordination, some of our hikes are not advertised in the local West Springfield Record Newspaper or FaceBook. The committee maintains a "VIP Hiking E-mail List". If you are interested in keeping abreast when and where our hikes and events occur, send Todd an e-mail wsgsd@comcast.net asking to be added. As of October 2018 there are currently 67 people on the e-mail list. By being on this list you will be notified before the general public is. Hikes and events are first come / first serve. Hikes typically draw between 6 and 10 people, sometimes less or slightly more. Lecture series can have 100 or less attendees. Events such as nature walks have varying attendance and are not usually dog friendly. Dogs tend to spook wildlife. Case by case, some hikes are dog friendly. Nature walks peak at 25 to 30 people. We guarantee you we do not share your e-mail address with any other group or organization.